Nobile Hearing Aid Center strives to give its patients a wide range of services to meet their hearing health needs. 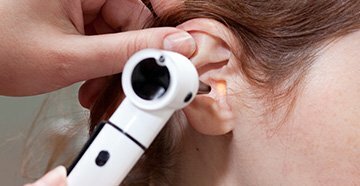 If you need to have your hearing tested for the first time or if you need to have your aging hearing aids replaced, the hearing specialists at Nobile Hearing Aid Center can help. The following is a brief breakdown of the many services we offer. Custom earmolds and earplugs are essential in hearing aid wear, but also play a large role in hearing loss prevention. 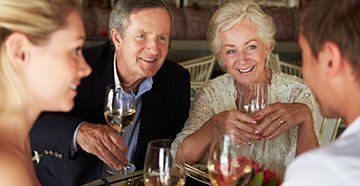 Discuss with the hearing specialists at Nobile Hearing Aid Center the many options you can get from having a custom earmold or earplugs in regards to hearing aids or hearing protection. Once a hearing test has been completed, a hearing specialist will go over the results of the hearing test and discuss hearing aid options. They will discuss the many different styles, colors, extras and technologies that are in each of the recommended hearing aids. Together, the hearing specialist at Nobile Hearing Aid Center and the patient will pick a hearing aid that suits your specific hearing loss, lifestyle and budget needs. At the hearing aid fitting appointment the patient will receive their hearing aids. The hearing specialist at Nobile Hearing Aid Center will go over with each and every patient how to properly care for, use and wear the new hearing aids. Adjustments may be made to the programs in the hearing aid at this time to make it more comfortable for the patient to listen to. Repairs may need to be made from time to time on your hearing aids. Many minor repairs can be performed in office by the hearing specialists at Nobile Hearing Aid Center. Some repairs may need to be sent out to the manufacturer, but the professionals at Nobile Hearing Aid Center will ensure your hearing aid is working its best for you. We are not diagnosing or treating tinnitus, but today’s hearing aids have tinnitus maskers, and we offer that with all of the hearing aids on the market today. If you think you may be suffering from hearing loss, or if you simply want someone to assess the health of your hearing aids, schedule an appointment with one of the hearing aid specialists at Nobile Hearing Aid Center and let us help you!